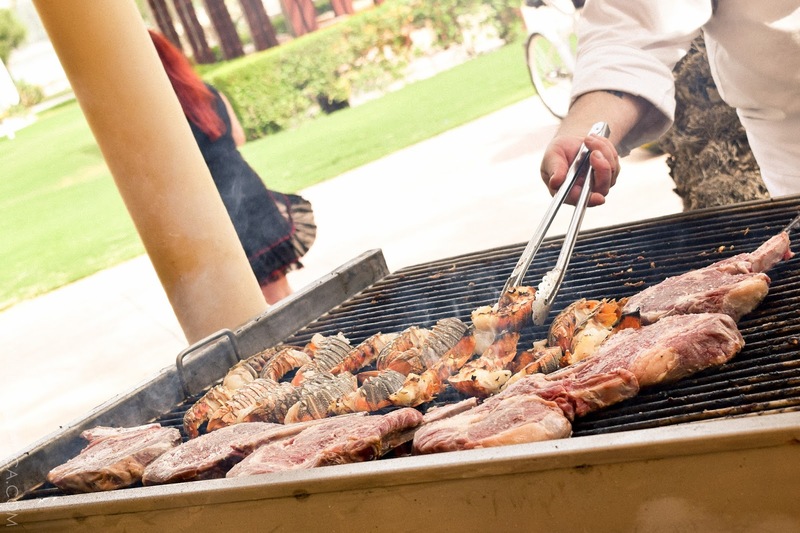 There's nothing quite like a weekender that is the Friday Picnic at The Lagoon at the Ritz-Carlton Doha. Besides the undoubtedly good food, it's the unique concept that's what I'm definitely digging. Plus, you know, I am all for anything that involves what I am passionate about; which in this case are conversations made over good food. Kim [le paper doll] and I found ourselves in good company of Chu and a couple of Gulf Times guys, and conversations on the whole went smooth sailing, hinging around randomly riveting topics—from film and music to blogging as the new form of mass media, to Doha's endless possibilities as a burgeoning city and sharing what we believe are the best places to eat in Doha. 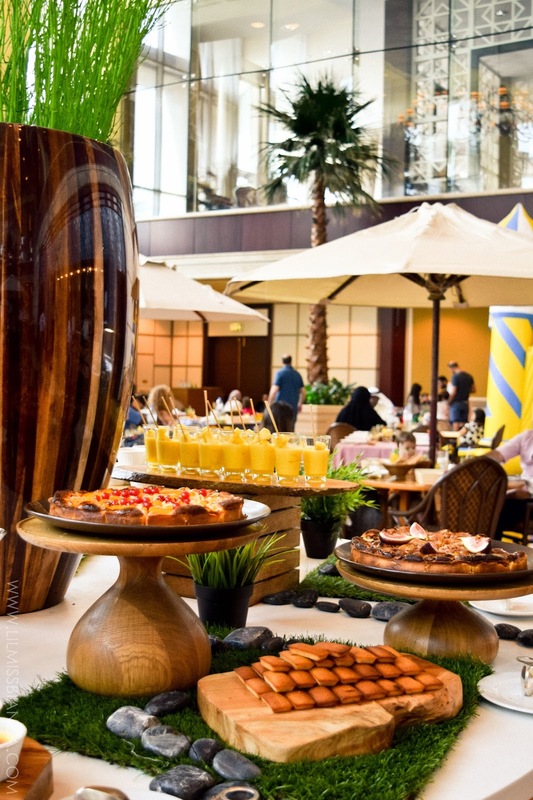 Forget about the good ol' weekend buffet brunch. 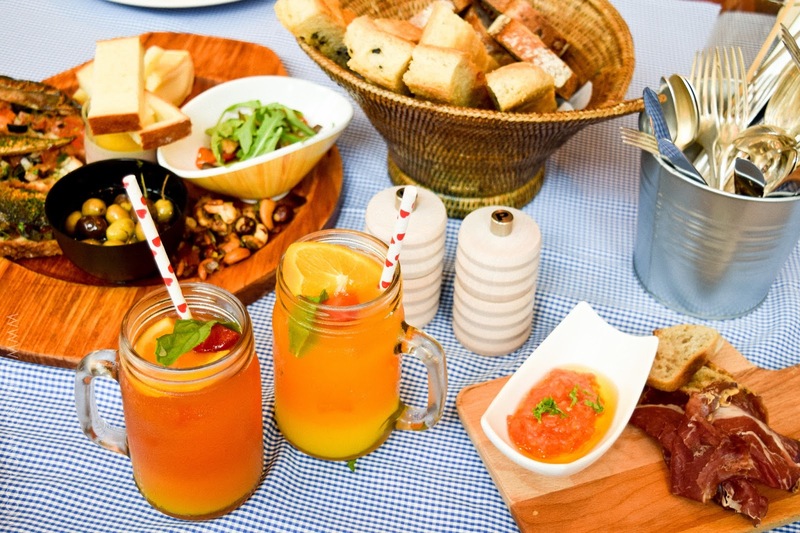 The unique concept of Friday Picnic is centered on communal dining wherein family and friends can share platters of starters, main courses of grilled meat, seafood, pasta served to your table and pitchers of refreshing drinks. For me, it's not all about the food, it's also about the memories and conversations made over it. As we arrived, already on the table were some platters of tasty starter dishes. We were immediately served a strawberry and citrus concoction drink, which I think was the only thing I wanted to gulp down in this thirst-inducing Middle eastern summer. It was time for the real set of starter dishes! 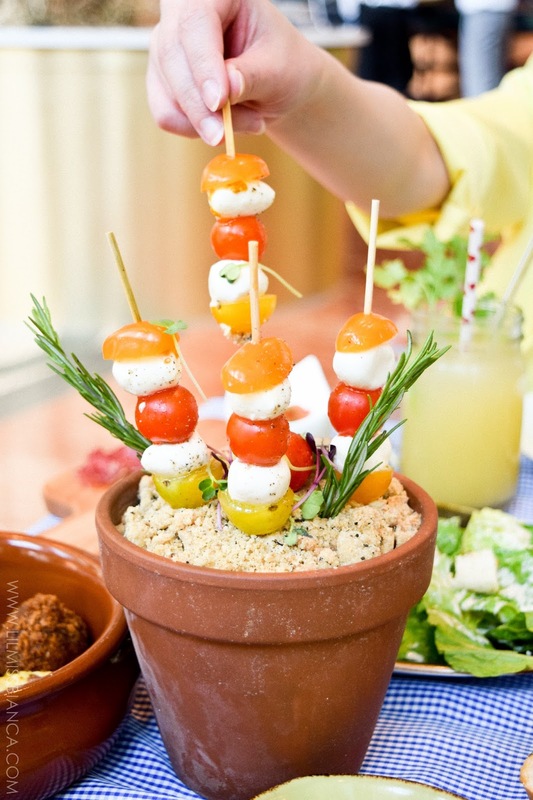 Cesar salad, California salmon roll, hummus foam on crispy bread, a pot of cheese + cherry tomato lollipops and burrito were served on our queue. After munching on the starters — I've tasted the refreshing and light twist on hummus and I think California salmon rolls were flavorful — our amiable waiter approached us and said, "Are you ready for the main dish, ma'am?" I nervously let a good amount of breath in and out of my system. I was 68% full already! So we decided we'd roam around the place — both indoors and outdoors — for a little bit to somehow aid my digestion system in breaking down what I've just chowed down (LOL) and to continue with our blogger duty and take some photos. We returned to our seats for oven roasted chicken barbecue, hammour papilot, ribeye steak + Omani lobster from the barbecue station, and Chinese bok-choy and stir fried noodles. 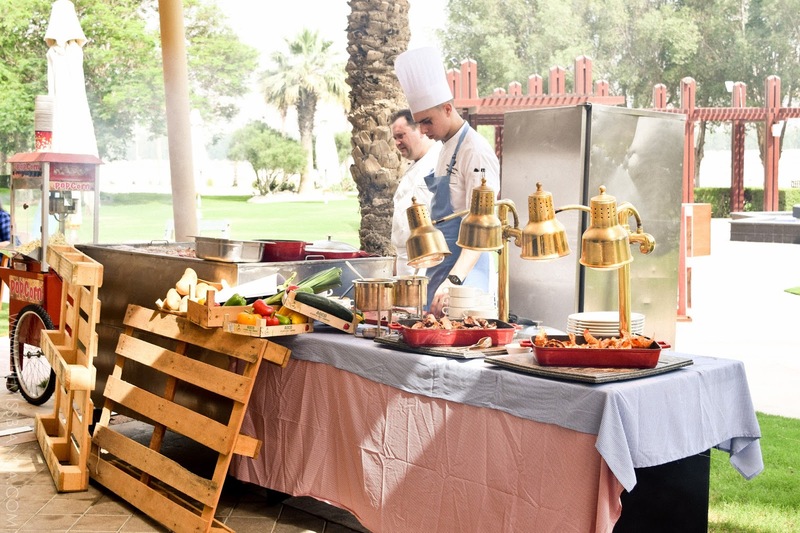 Aside from the aforementioned dishes, a barbeque station, popcorn machine and other stations can be found at the garden veranda, to boot. To put it simply, I am impressed with The Lagoon's comprehensive menu. While it is a mishmash of different cuisines, it is still able to create a cohesive gustatory experience. 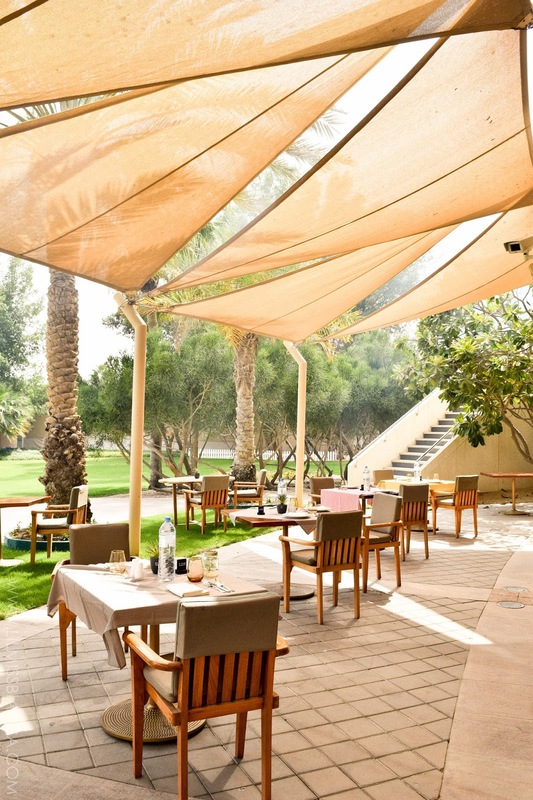 Friday Picnic at The Lagoon restaurant allows guests to dine alfresco, but what with the gradually rising temperature, I'm quite certain we all want to stay indoors now. Indoor seating does not disappoint, however. 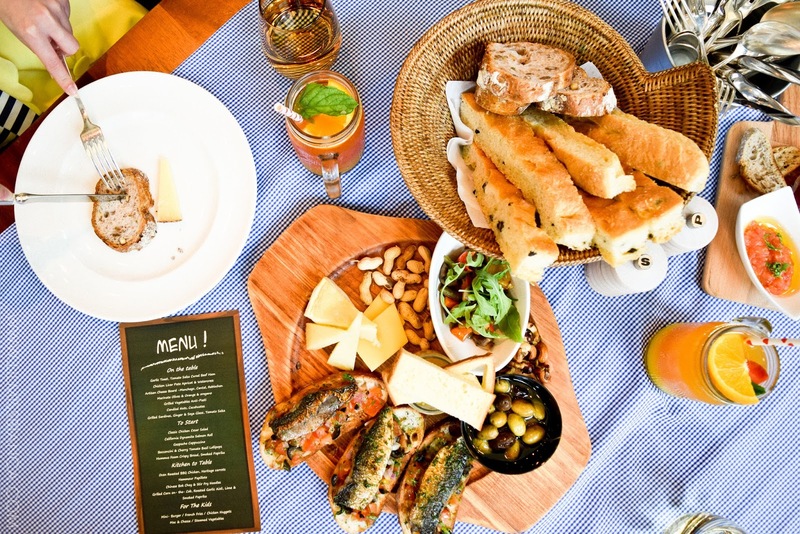 The floor-to-ceiling windows allow natural light to create a buoyant ambiance; trees, plants and other green decor so easy on the eyes; and DIY signboards, baskets, gingham table cloths and food presentation completing the entire picnic concept. If only the weather permits, the vigor and vibrant atmosphere of The Lagoon's garden veranda is the perfect backdrop for dining and mingling with your friends and family. There are cabanas, popcorn machine, and barbecue stations. After our sumptuous meal, we spent the rest of the day outdoors, catching up in the cabana whilst finishing up our fruit drinks. 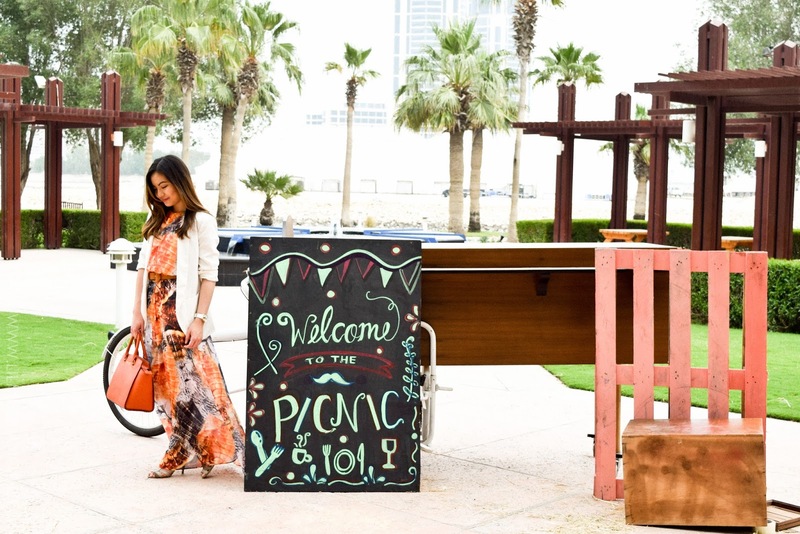 The Picnic adds an entertainment dimension to the new brunch concept. Face painting and jumping up and down at the bouncy castle are some of the perks you have if you are aged 5-12, but for the rest of us, there's a live DJ playing upbeat retro music to which we're free to sing along! LILMISSBIANCA was a guest at the Friday Picnic in The Lagoon Restaurant. However all views and photos are mine as always. Love a good brunch! Especially outdoors!!! Oh I love this post! Haven't seen it before... makes me want to go!